The induction of flowering is of major importance from an ecological and agronomic point of view. Timely and synchronous flowering is essential to optimize pollination and allow seed production and maturation under favorable environmental conditions. Environmental factors, including light in particular, regulate flowering time, the mechanisms of which have been the subject of many studies. However, these experiments were usually performed in growth chambers in the absence of UV-B, a type of radiation that is a natural component of sunlight and, for example, is responsible for sunburns in humans. A team from the University of Geneva (UNIGE) has discovered that UV-B can be a powerful inducer of flowering, but that a protein called RUP2 blocks their action to prevent early flowering. This work is published in the journal Genes & Development. Many plants display a so-called photoperiodic flowering, which depends on changes in the length of days and, therefore, seasonal changes. Some of them will flower when the days get longer, others when the days get shorter. The perception of the length of the day by these plants is essential to control the onset of flowering in natural ecosystems and to ensure successful reproduction. Understanding the mechanisms at work in this process is also a major challenge for horticulture and agricultural production systems in order to optimize yields. Plants are able to perceive and "analyze" light, including its intensity, color or duration. Roman Ulm, Professor at the Department of Botany and Plant Biology of the UNIGE Faculty of Science, investigates how plants integrate this information to control flowering. The mechanisms involved in flowering have been studied in the model species Arabidopsis thaliana (thale cress), which flowers in Switzerland mainly in May, when the days get longer. "Most of the research has been carried out in growth chambers, where the artificial light does not include UV-B, even though it is an intrinsic part of sunlight. We thus included this type of radiation, since plants possess UV-B receptors", says the scientist. 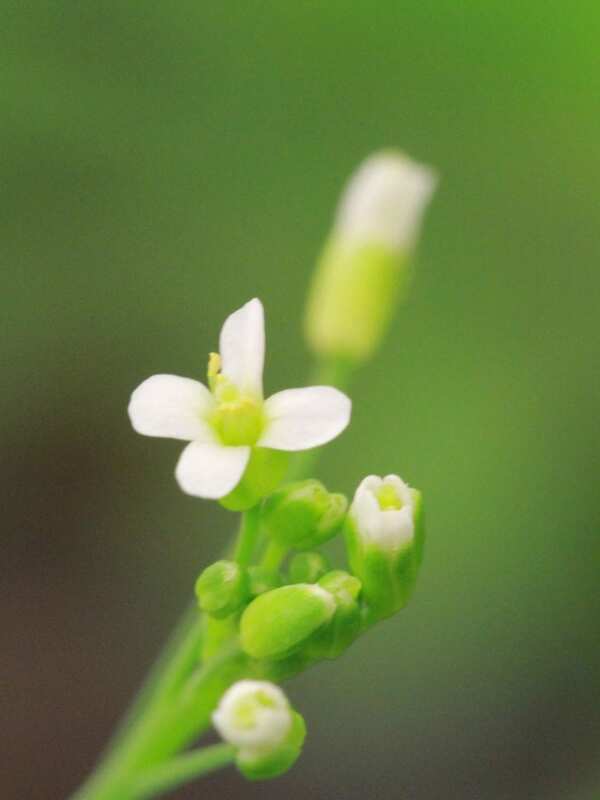 In collaboration with researchers from the universities of Lausanne, Tübingen, and the Helmholtz Zentrum München in Neuherberg (Germany), the biologists have demonstrated that UV-B rays can potentially induce flowering of Arabidopsis throughout the year. "However, their effect is blocked during short days by a protein called RUP2", explains Adriana Arongaus, researcher in the Geneva group and first author of the study. The biologists have started to understand the crucial role of RUP2 by analyzing the molecular mechanisms at work. "Regardless of the season, UV-B can stimulate the production of a flowering hormone, the FT protein, which migrates into the meristem – the tissue that ensures the plant's growth – and reprograms it to enter the flowering phase. RUP2, in turn, indirectly inhibits the production of this hormone, and thus represses flowering", the biologist adds. However, when the days lengthen, photoreceptors present in the leaves induce such a production of FT proteins that flowering starts despite the presence of RUP2. This changing balance over the seasons allows the implementation of a photoperiodic flowering, with RUP2 as the central actor. Flowering induction by UV-B has been discovered in mutant plants devoid of RUP2. "We would now like to know if this role of UV-B exists and is important in other plants, and why it has been repressed by RUP2 during evolution in Arabidopsis", notes Roman Ulm. After discovering the existence of a UV-B receptor, as well as its impact on plant growth and development, the researcher intends to identify the different functions of this receptor, which could be integrated as parameters to study ecological and agri-food systems.